If you’re here it means you suffer from picky eaters in your life, and you need some quick and easy options to shut them up and feed them with minimal hassle. We’ve rounded up 21 one-pot (bonus!) meals to please even the pickiest people. Growing up, being picky about food was not an option. You either ate it all or you didn’t eat at all. Things that inexplicably I used to be picky about included the tiny green bits in the instant ramen packets (ridiculous), the green vegetables in my mom’s dumplings (at one point, I actually had the gall to leave all the filling and eat just the crispy skins), and fish (which my mother cleverly convinced me to eat more of because it would make me smarter). Luckily, based on my limited memory of these kinds of moments, I got over my pickiness quickly, given my mom’s iron-clad rule. But once when I was a surly teenager, I remember being on a diet eating a snack of hummus on whole wheat toast. The toast was the dry and crumbly generic kind (this was before my mother started making homemade multigrain bread), so I left behind the crusts—diet and all that. My mother’s hawk eyes saw the crusts, and she immediately demanded, “Who do you think you are?! Eat that!” So we never had any illusions about being delicate and unique little snowflakes that got special treatment, to say the least. 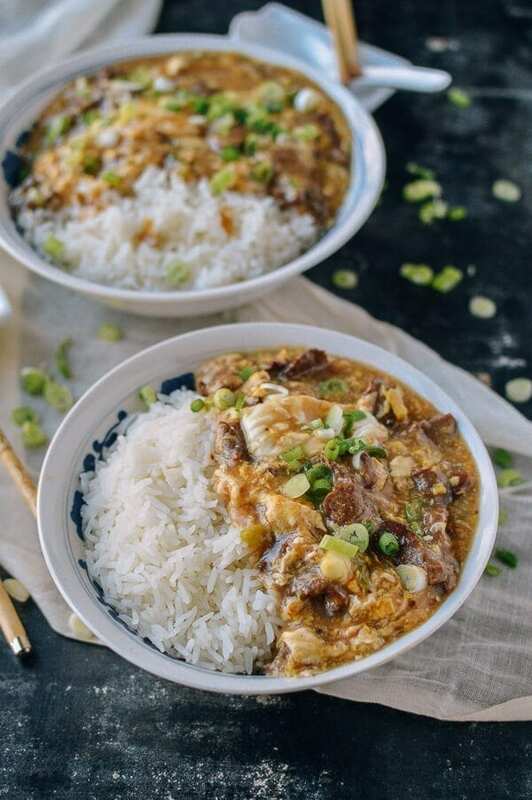 However, we understand that even the best of us may still be suffering from the whims of picky eaters, hence this roundup of some of our favorite one-pot recipes that in many cases have been proven to appease picky eaters. Don’t be surprised if they even ask for second and third helpings! In total, the list makes up almost a month’s worth of meals! Good luck! Oh, kids. At a certain point, they’re so picky that you’re just desperate to give them whatever it is they’ll deign to eat. The trouble with that is that they don’t get the variety they need OR you get stuck making two meals! No one wants that. We’ve heard some positive reviews on these dishes from actual parents, and are hoping that they’ll work just as well for your picky kids! The trick is plenty of protein for their tiny little growing bodies, and simple vegetables—and feel free to make substitutions! Do they only eat sweet potatoes? Throw ‘em in. Is spinach the devil, while peas will quietly slip past their attention? Go for it. Fingers crossed that they even ask for seconds and thirds, giving you some peace of mind! 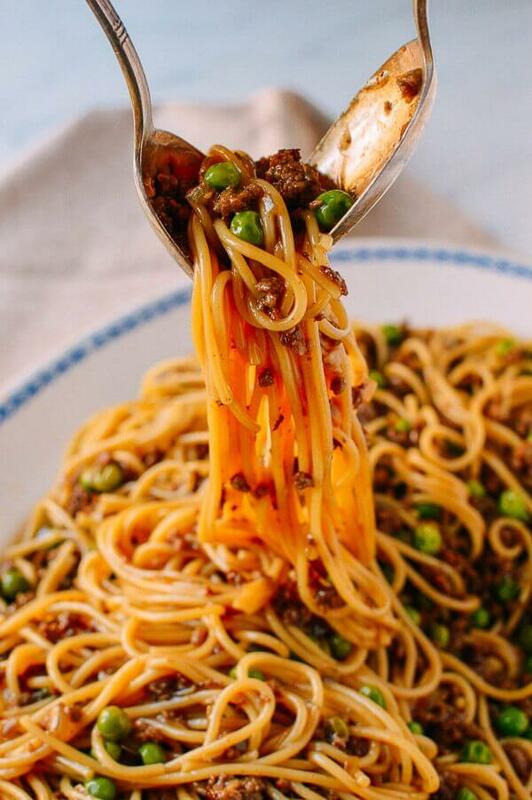 This Chinese Spaghetti Bolognese has been called out multiple times by real moms and dads as a true winner at dinner time. 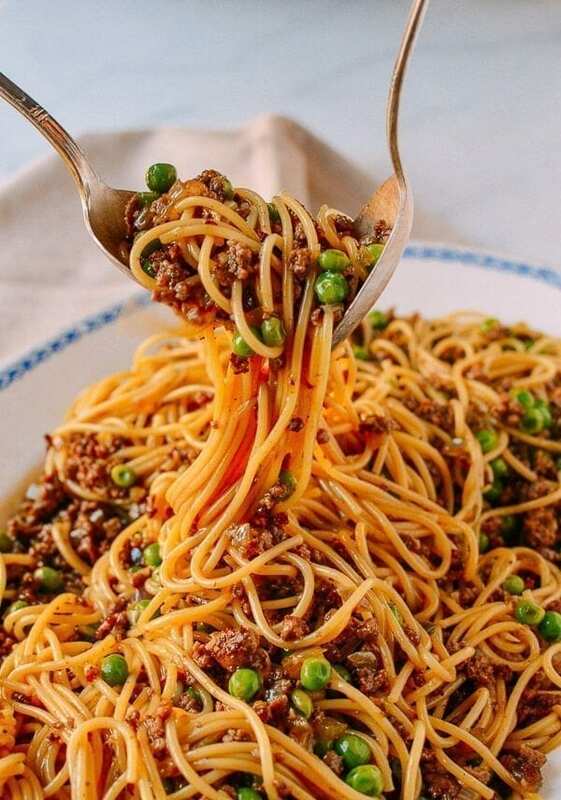 The simple but delicious flavors, and the addition of frozen peas make for a well-rounded option that will have kids asking for more. 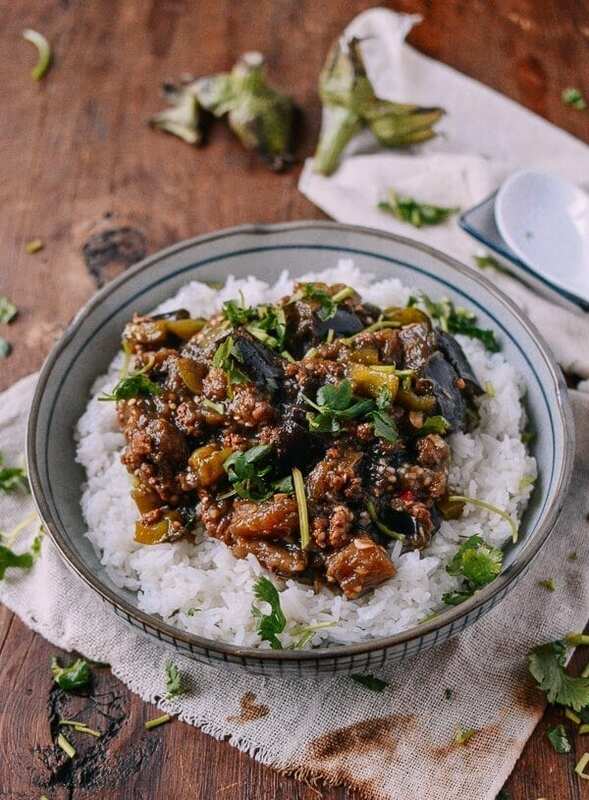 This can also be served with rice, or you can make a similar dish, our Cantonese Beef Rice Bowls. 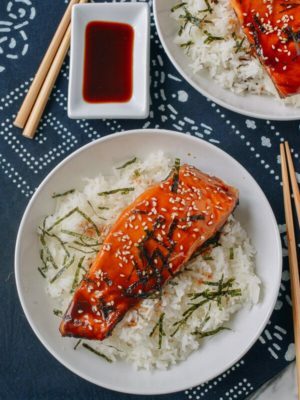 Let the rice cooker do the work on this dish. It comes together fast, and serves up simple flavors and kid-friendly vegetables like frozen peas and carrots for minimal fussing at the dinner table. 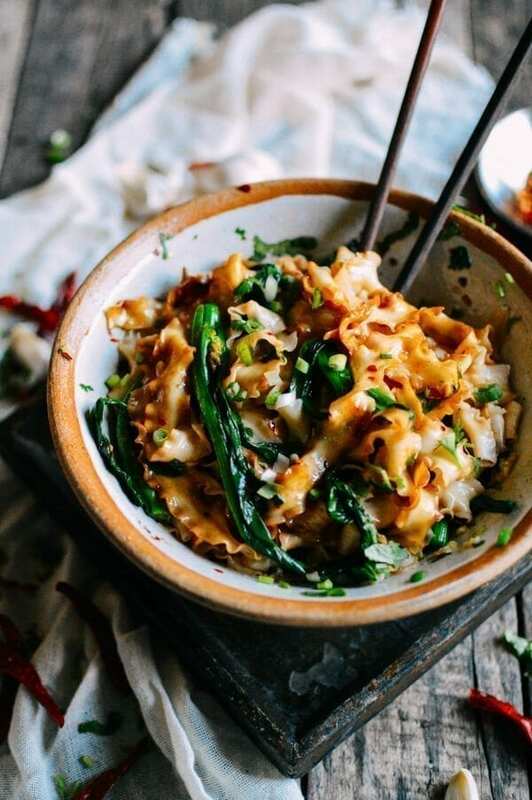 This is kind of like the buttered noodles of the Chinese world, but with a lot more flavor so hopefully you don’t have to suffer through cooking two meals. 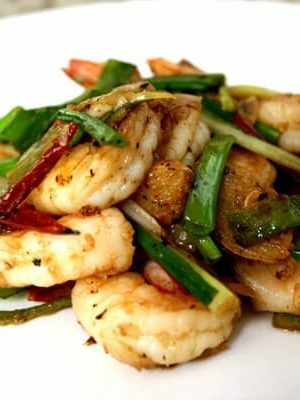 If you’re desperate for a wholesome option that’s packed with plenty of protein, give this a try. It was a childhood favorite for our family, and if your dealing with a picky kid, they may be just as tired of chicken tenders as you are. 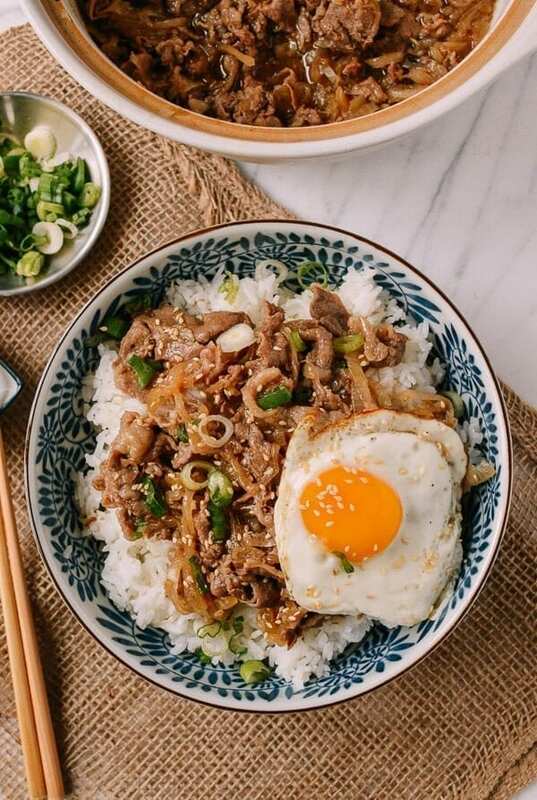 If you’re looking for Japanese flavors, this Gyudon is similar to some of the other dishes here in terms of simplicity but gives for a little bit of variety. 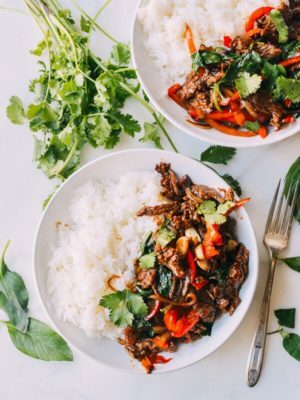 Both you and your picky eater will enjoy these rich bowls of beef! This is about as simple as it can get. 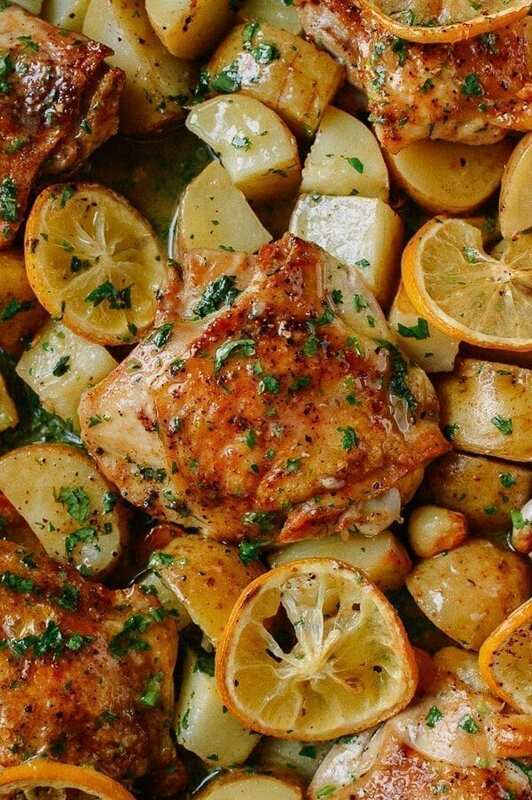 It all comes together in one pan. Feel free to roast up a kid-friendly like carrots alongside the potatoes as well, and you’ve got a full meal. 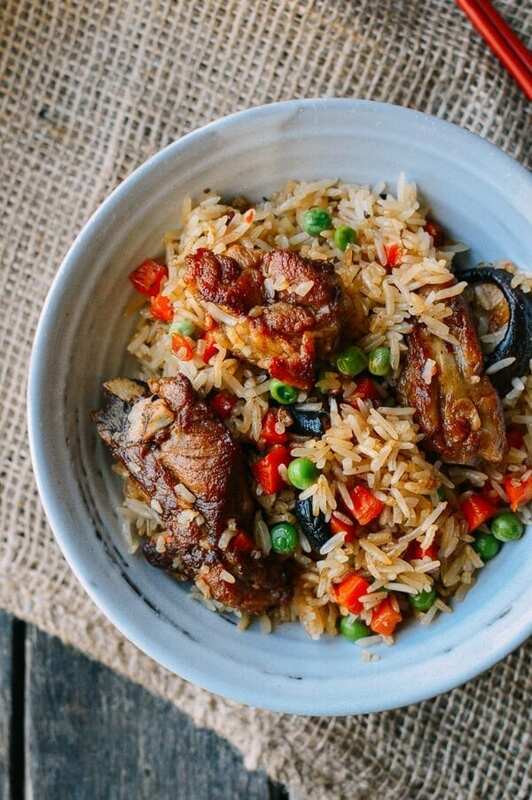 Fried rice is always a kid-friendly option. 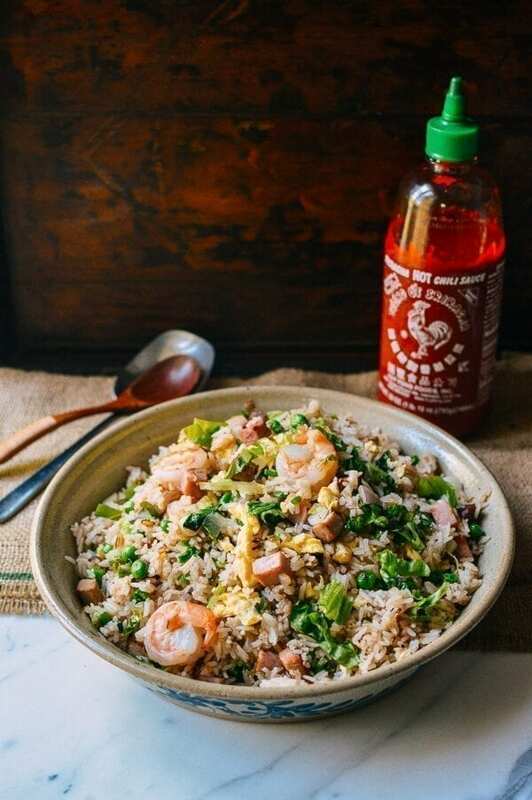 This Young Chow Fried Rice is jam-packed with tasty protein and you can customize it with the vegetables that will get you through dinnertime with zero complaints. You know the one. The one who doesn’t really like to do the cooking, but still seems to be perfectly content making comments when you get stuck in your regular rotation of recipes. 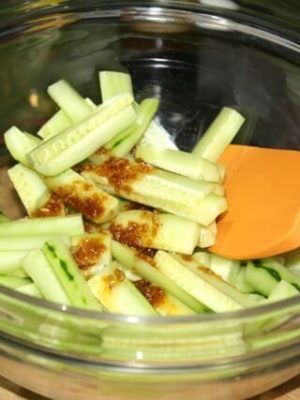 Well, these recipes are sure to keep them quiet, and earn you more respect in the kitchen! And you should definitely make them do the dishes. 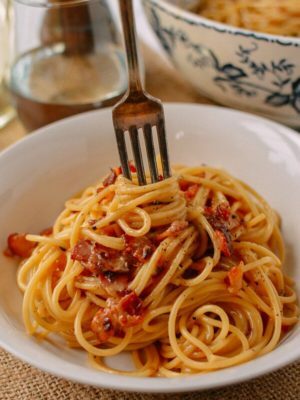 This is my favorite pasta dish on the entire blog! 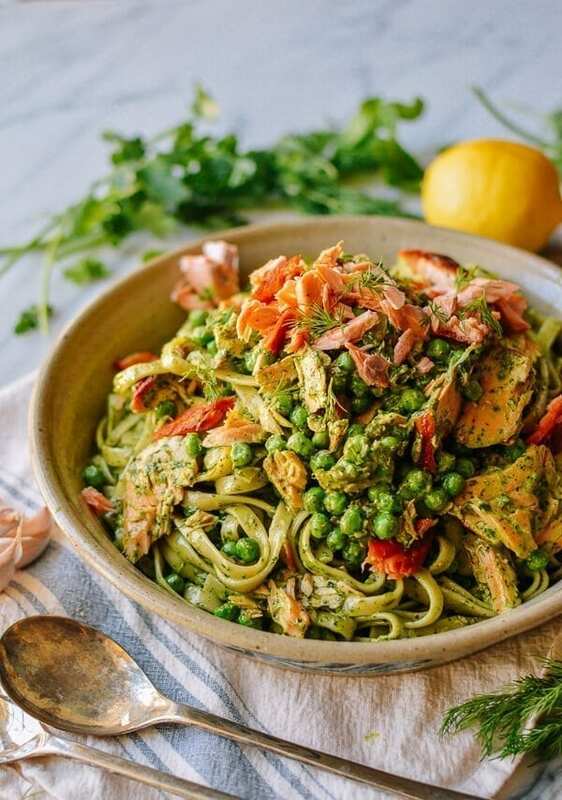 It’s a unique and ridiculously tasty dish that’s perfect for the warm summer months when green herbs are in abundance. For anyone who makes faces at the same old pasta with red sauce, serve them this for an exciting update. And feel free to sub in chicken for salmon! 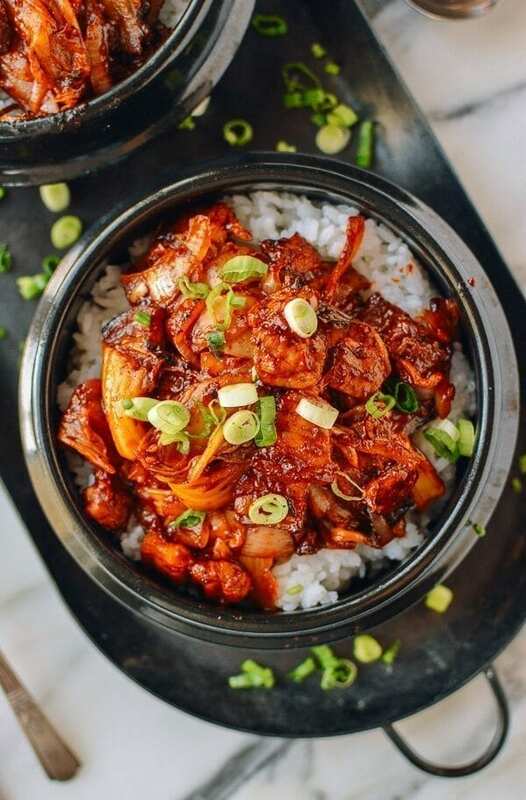 Making Korean food at home is surprisingly easy once you’ve gotten a few special ingredients. This is so quick to throw together that it may just earn a place in your standard rotation. 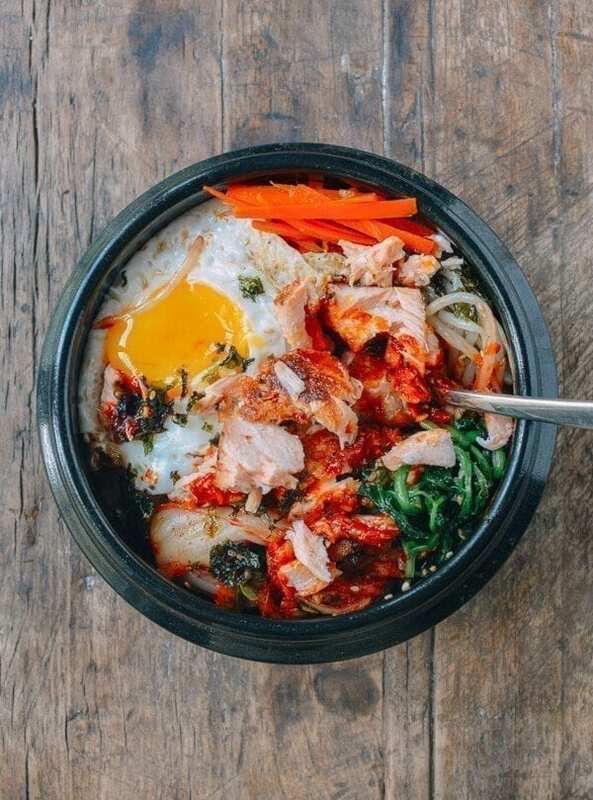 Instead of the typical seared salmon + [insert grain and vegetable side here], you can whip up this salmon bibimbap! We love curry, but it need not be an hours-simmering-on-the-stove affair. 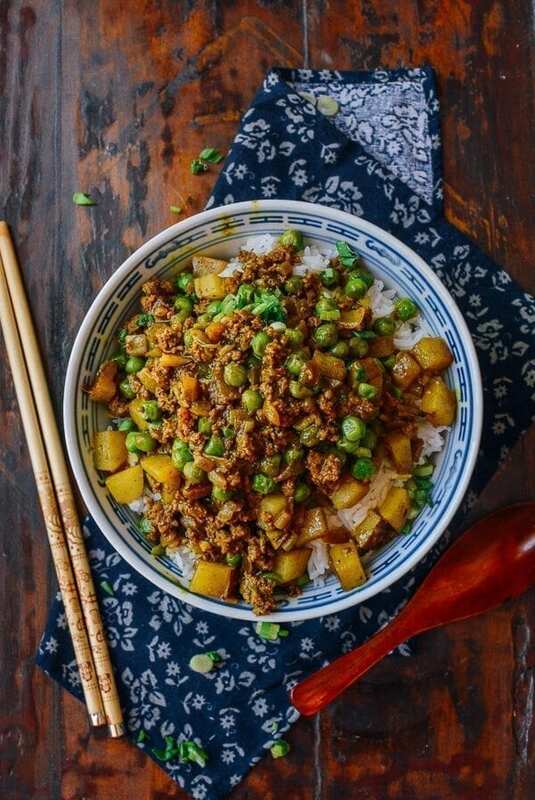 This curry beef comes together quickly, but still feels special. We find that we fall into the trap of always preparing our eggplant the same way when it gets warm out—sliced, marinated with olive oil and spices, and grilled. 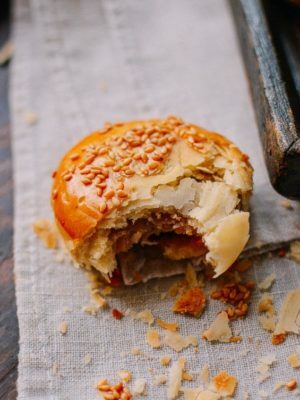 While there’s nothing technically wrong with that, we’re betting that you could use some refreshed ideas for eggplant this summer too! “Discerning noodle lovers” also = food snobs. 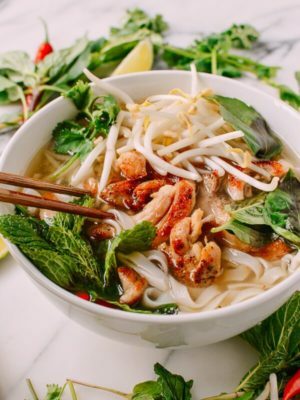 (Now, don’t get me wrong, not saying I’m not a food snob…) Maybe they consider themselves well-traveled, or they’re the foodie that aggressively yelps before settling on a place to eat, or they’re just tired of the Asian noodle standards and are looking to be *~*wowed*~*. 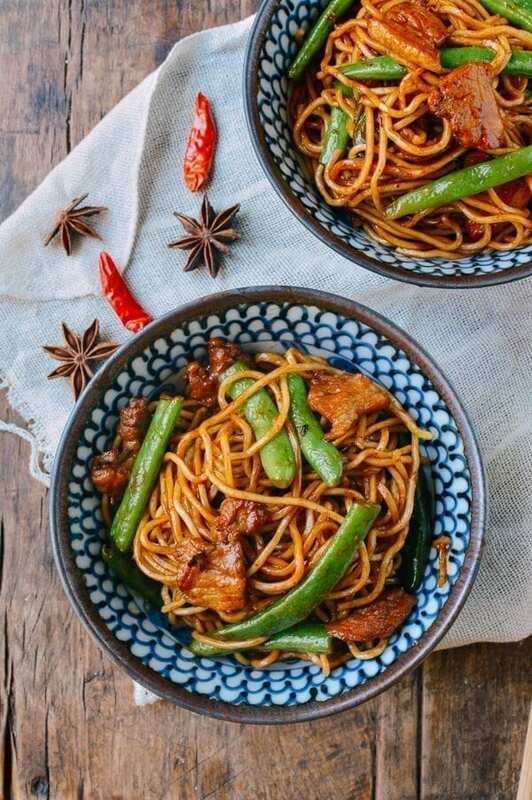 Either way, we’re betting that these noodle dishes will keep them quiet after the first bite! 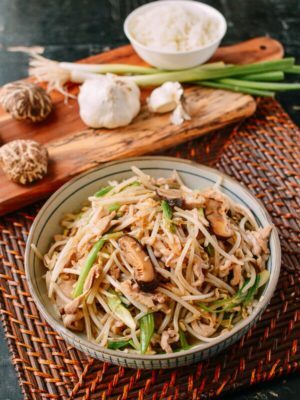 This Chinese dish is deliciously spicy chicken and vegetables served up on a bed of noodles, which soak up all that great sauce. 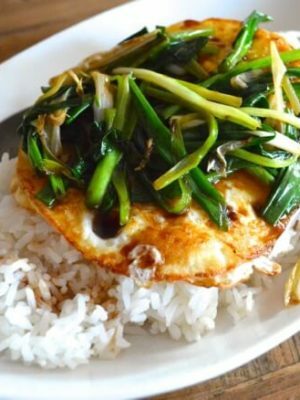 It’s tough to find this dish made well, so your food snob friend will be impressed. 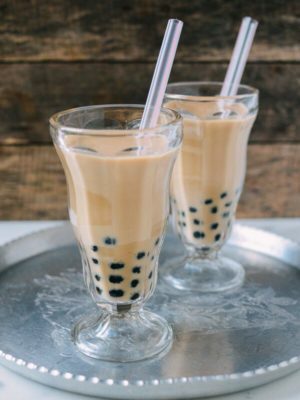 So simple, but so good. 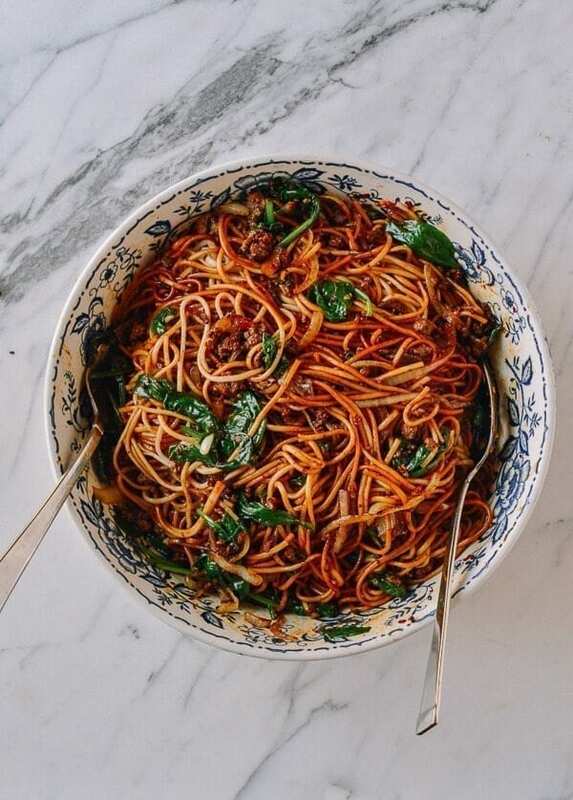 These noodles are our go-to on hectic blogging days when we want to eat something good and fast! 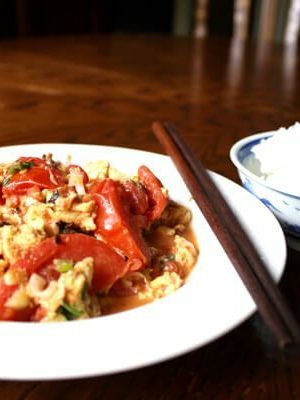 This is a Shanghainese restaurant dish that can be made easily at home! 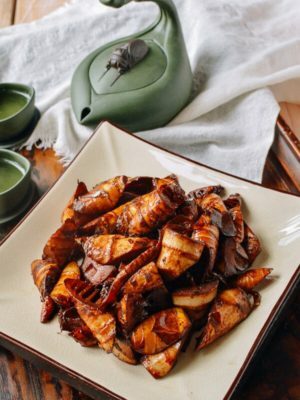 Chances are your picky eater has never enjoyed this dish, or at the very least, they haven’t had a very good version of it unless they’ve managed to find a great Shanghainese restaurant. It’s all about the novelty factor, here, folks. 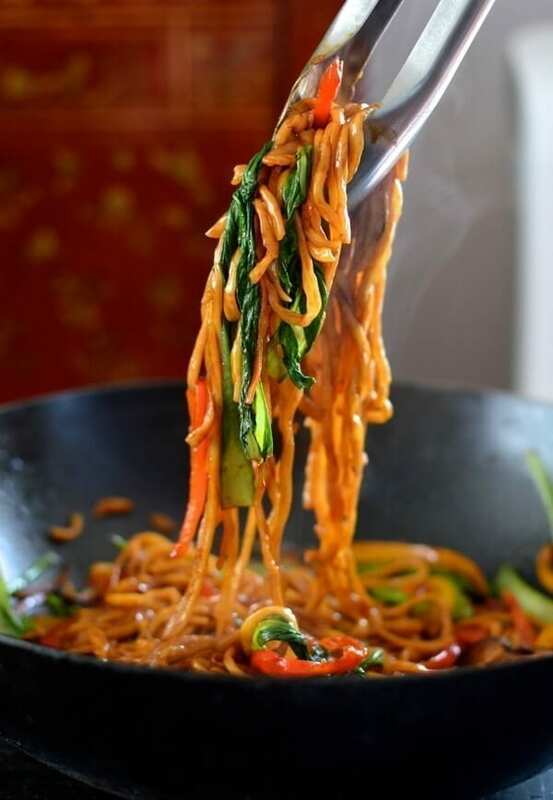 Pad See Ew is increasingly one of the most popular Thai noodle dishes, right up there with Pad Thai. 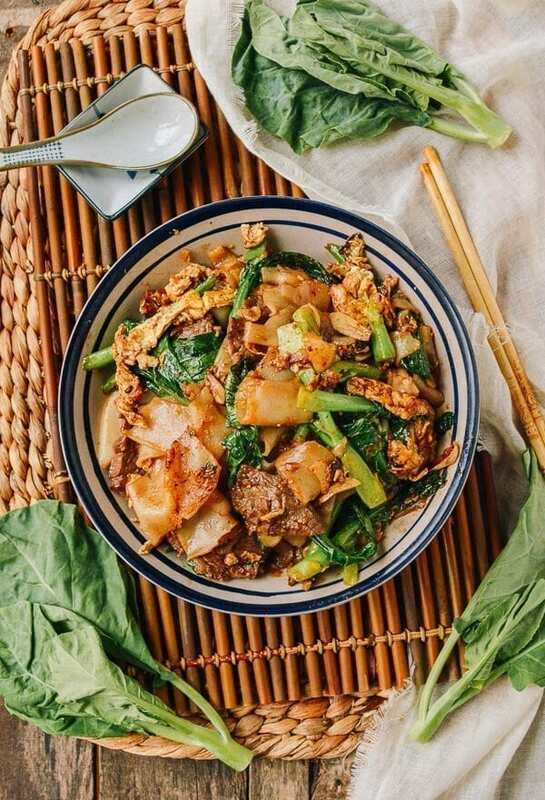 If your friend isn’t impressed by the subpar Pad See Ew you might find at your local Thai joint, this recipe will put them in their place. Bonus, these rice noodles are totally gluten free! 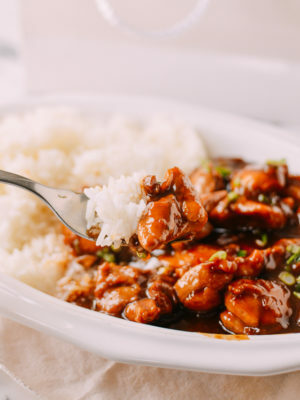 My sister and I were skeptical of this dish when my mom first made the recipe, but let me tell you, this somewhat obscure dish (at least here in the US) that we learned how to make in Beijing (i.e., true home cooking!) is now a family favorite. 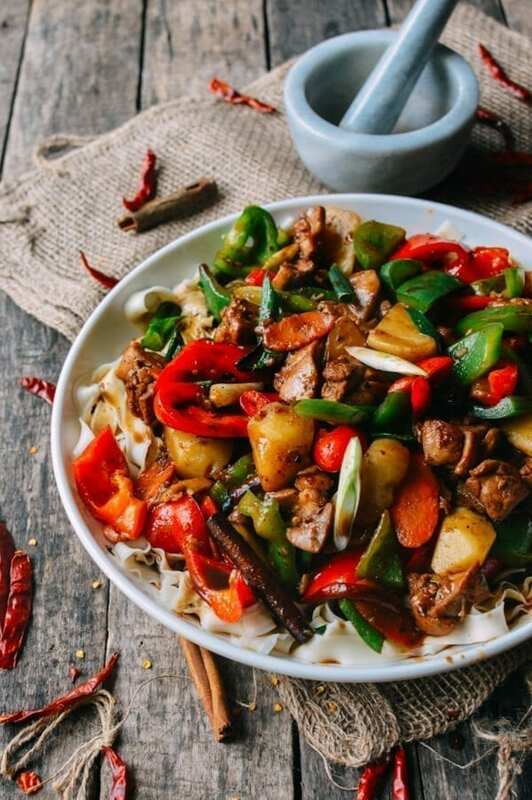 It’s truly delicious, satisfying, and well-rounded, with the green beans, pork, and noodle coming together all in one wok. We improvised this dish for the vegans out there. 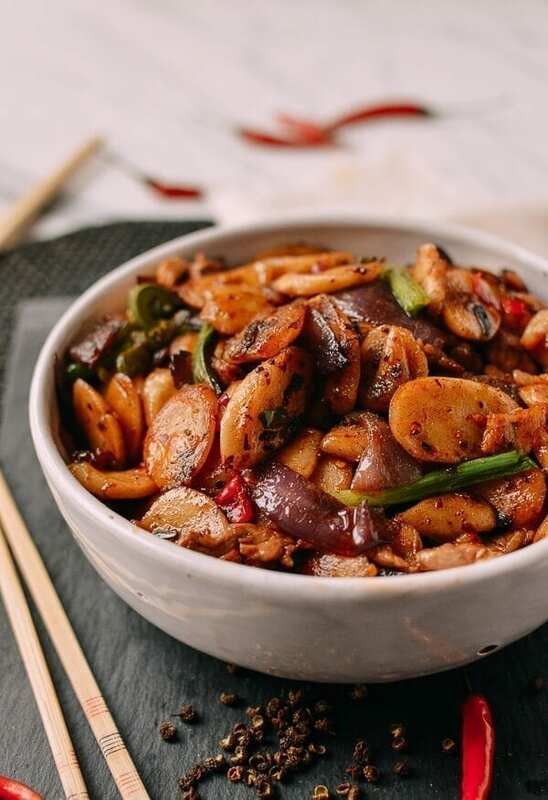 Hopefully you can keep the peace between the vegans and the meat eaters with the meaty texture of the different kinds of mushrooms! 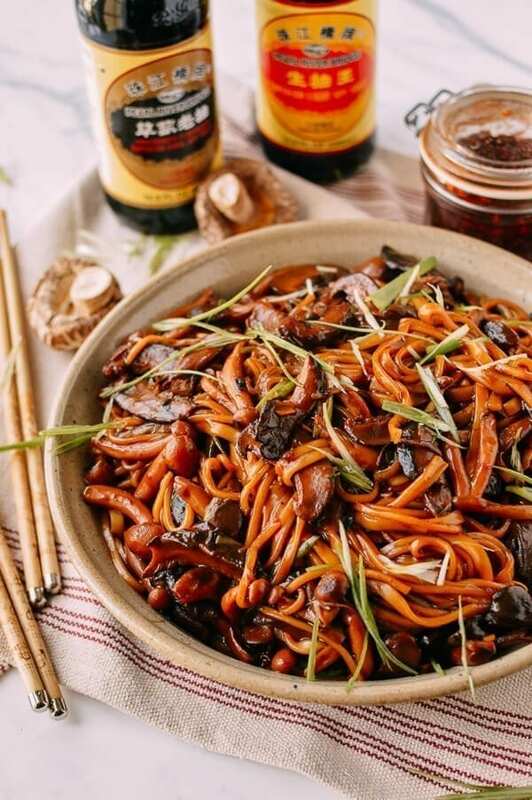 We’ve found these days that your standard Cantonese restaurant just isn’t serving up the same caliber of chow mein as we’ve enjoyed in the past. 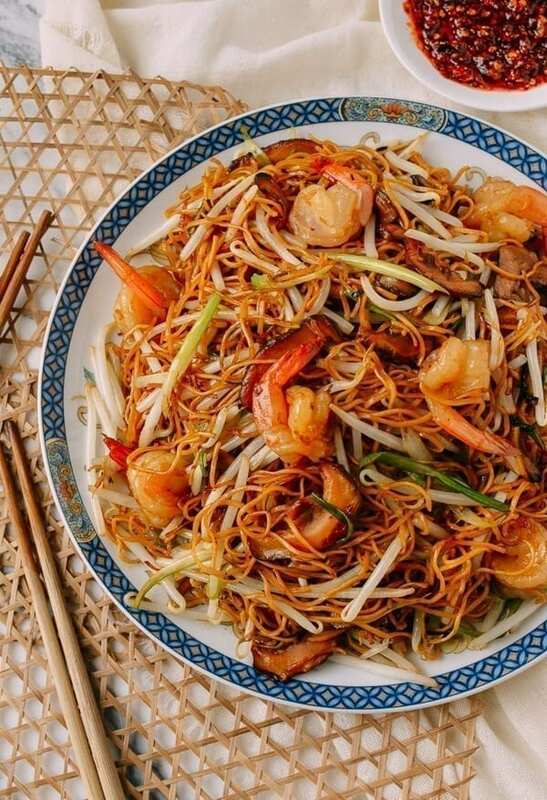 This is a real shame, but luckily this Hong Kong Style Shrimp Chow Mein will make anything you and your friends and family have eaten at a restaurant look like dog food. Okay maybe that’s an exaggeration, but who could resist this dish? This spicy take on sticky rice cakes is a departure from our classic recipe (i.e., the most-requested dish from Sarah when our mom makes dinner for us.) 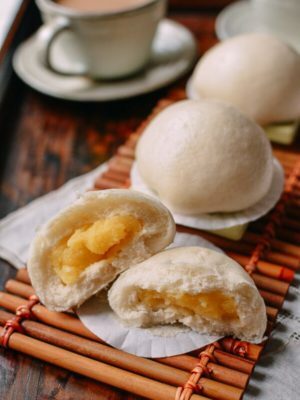 Lots of people out there have never enjoyed stick rice cakes, and I will say that my friend who is a *notoriously* picky eater loved these sticky rice cakes when she first tried them! Hi Mary, if you ask me, can’t really do “simple” for tomb sweeping. Hi, Very nice blog, keep blogging. your dishes are so delicious. Every thing has red sauce. How about something different? Hi D, I understand, but I also see colors like green, yellow, salmon, and cream. 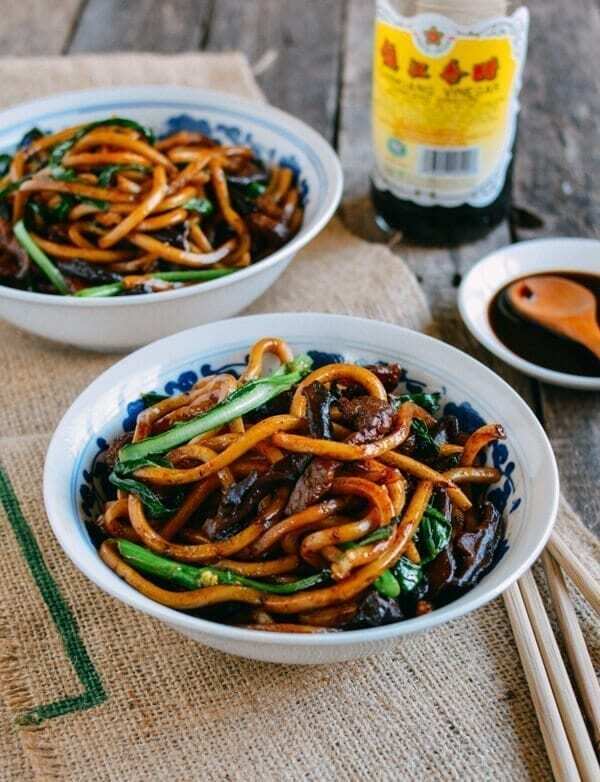 I’m so happy to see that I’ve already tried 8 of these recipes several times, the latest one being the Shanghai Fried Noodles over the holiday weekend. All of them are repeated in my house with success and are reheat great for my lunches throughout the week. I can’t wait to try the remaining 13! hehehe…love it! Thank you so much for your support! Love your website. You’re amazing! I can’t wait to try all of these! 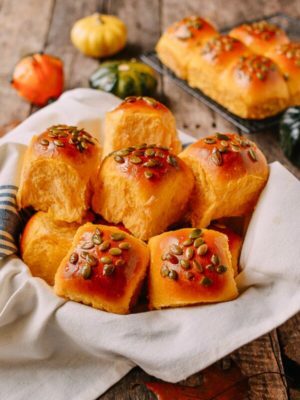 Love your blog and all these recipes!!! I love one pot meals…not that my kids are picky eaters (we don’t have snowflakes here either). 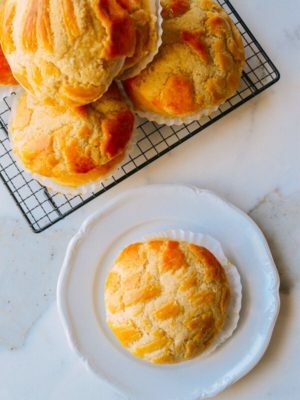 They are the best for busy weeknight meals. Thanks and keep them coming! Yes, you are absolutely right. They are also very easy recipes.